Fruit-flavoured e-juices are ever popular and it's little wonder: nobody can match Mother Nature when it comes to producing pure and distinctive flavours. 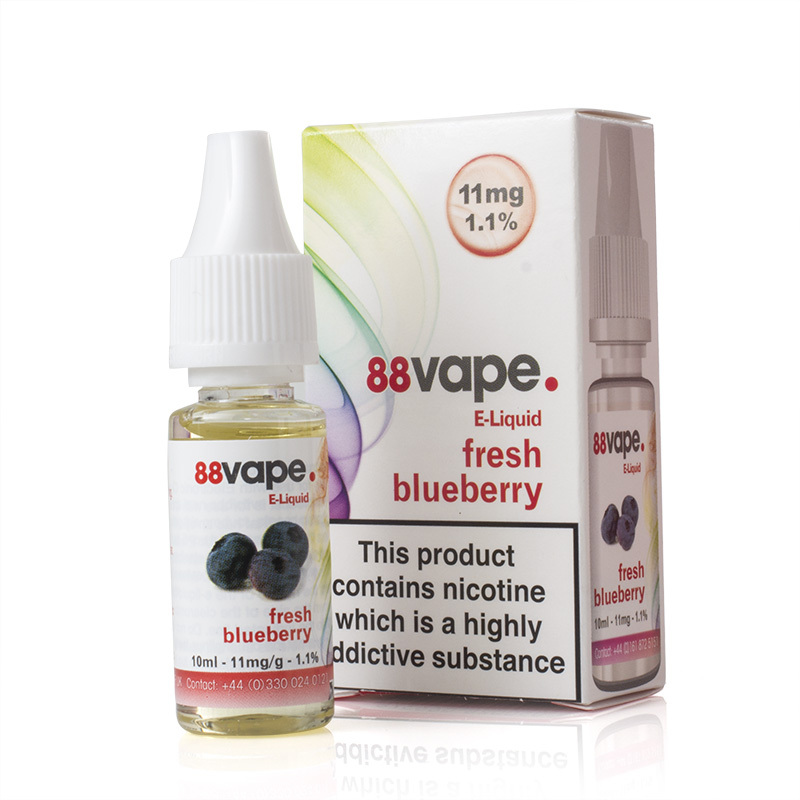 Sadly, we can't say that the 88Vape Fresh Blueberry E-Liquid will provide you with all the health benefits of eating real blueberries, but we can say that it has all the great flavour of the real thing. Fresh Blueberry E-Juice is supplied in 10ml bottles and has two different strengths available for your preference. This e-liquid features the flavour of ripe blueberries with a smooth, distinctive tastes – sweet and sharp, but not too much of either. 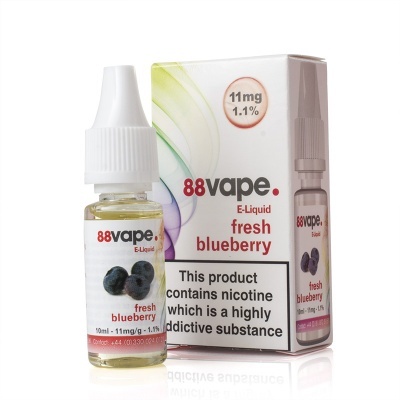 88Vape Fresh Blueberry has a combination of 20/80 (VG/PG) for a strongly flavoured vape with a powerful throat hit. Fresh Blueberry E-Liquid is supplied in 10ml bottles only.